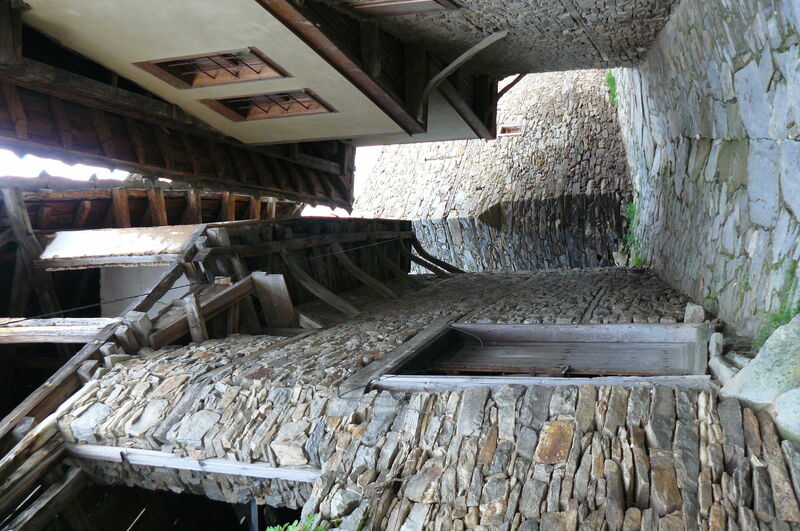 Where: another alternative destination in Bulgaria – the village of Leshten. 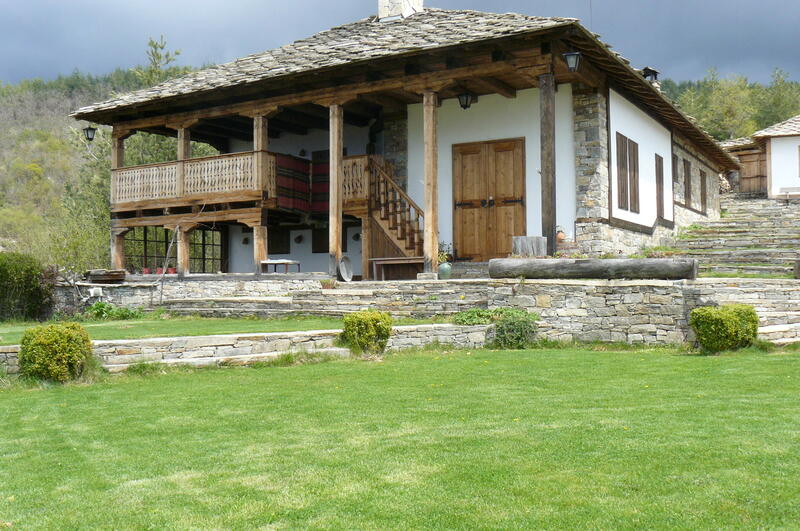 It is situated in the SouthWest end of the Rhodope Mountains – about 220 km from Sofia. The road is windy and uneven but it is absolutely worth the trouble. Our first impression – a magnificent view towards Pirin Mount! The village of Leshten, according to different sources, is an ancient village and many traces of old life, culture and architecture have been found in the region. It used to be a municipal and trade centre in the past. I find it hard to believe this, looking at a small stony village of 30 houses – about 300 years old – and a single permanent resident. That’s right, “stony village”, everything is made out of stone – the roads, the houses, the fences. No wander this specific technique of building was the core means of living here back in the Bulgarian Revival. It’s a great thing that the authentic look of the village is preserved. Even the 15 renovated houses, which host tourists, have kept their old style – stone plinths, roofs covered with hand cut tile-stones, high stone fences, small windows and wooden flooring. So solid and so great! Where to stay: in one of the 15 renovated houses. They are supplied with all the modern comforts, a fireplace and a kitchen. Below is the house where we stayed at. If you need help with reservation write me an e-mail to truebulgaria@gmail.com or use the contact form. Where to eat. There is one single place to eat in the village. I find it relaxing not to have a choice for once. The restaurant is in the building of the old monastery school. I haven’t eaten there yet but most people say the food is local, authentic and very delicious and… it is not cheap. 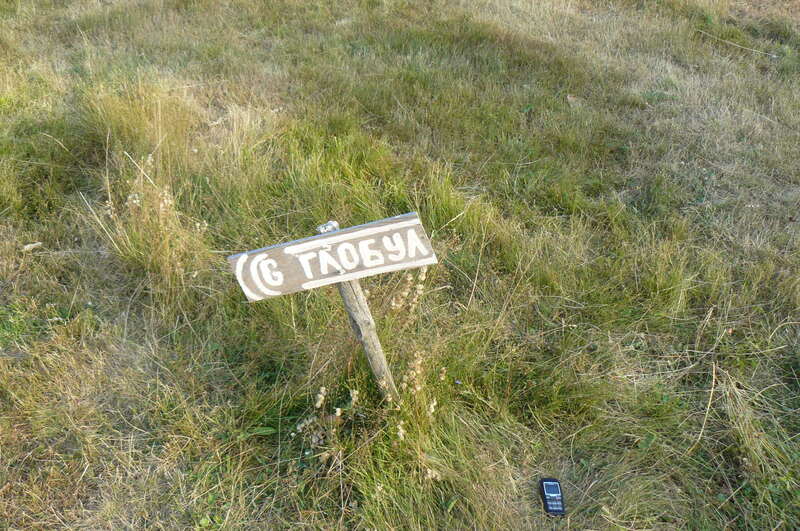 Things to see: the village of Leshten is a historical monument by itself. The ancient architecture and the great natural location is a winning combination. The spirit of the once lively municipal centre is asleep but it’s still there. The village church – St Paraskeva – had its last service in 1957 but you can still enter the church and light a candle. The wall paintings are quite bright, kind of modern and curious. 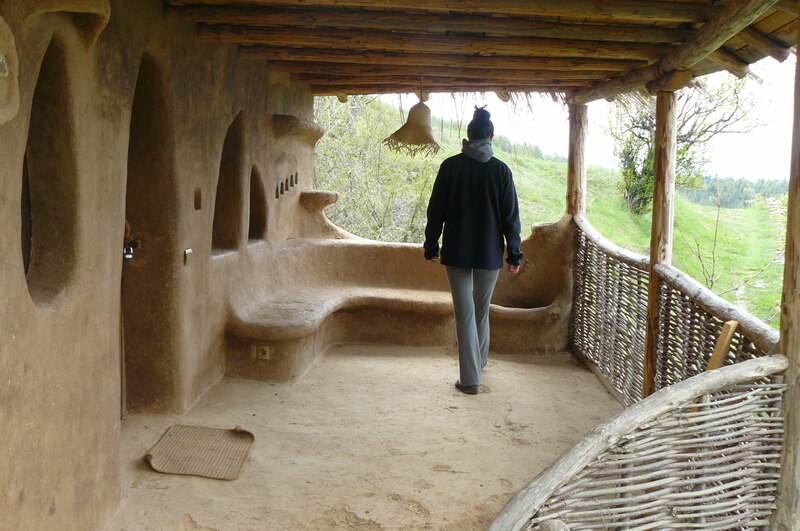 The clay house – this one is a favourite tourist destination not because it is ancient or has any historical value but because it is one of a kind. It is made entirely out of clay. There are no sharp square shapes – the whole house is soft and oval. 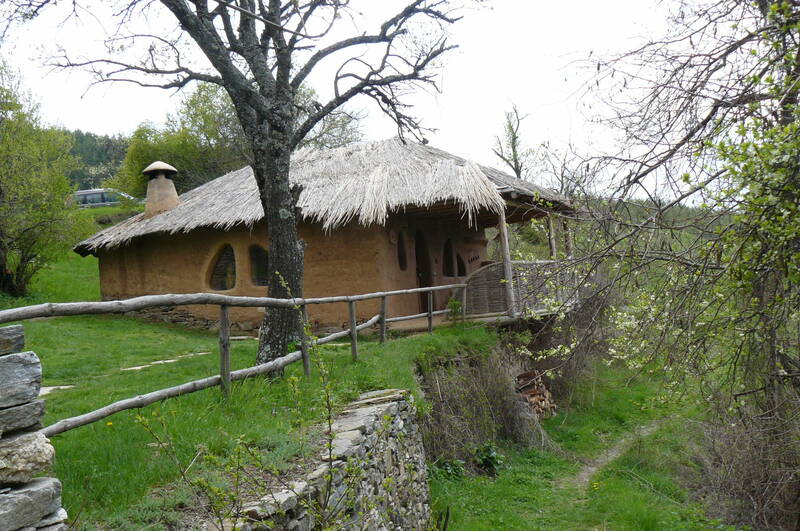 Even thought it looks simple and primitive the clay house actually offers luxury accommodation, which combined with location and view is probably worth the price – around 60 euro per night. The gallery – one of the houses functions as a classy gallery from where you can buy sophisticated pricey art-icles. Manoilova Dupka Cave- with various cave formations, underground river and waterfalls. It is the home of globally protected bat species. Entrance to the cave is limited. The Zagrade Plane trees: these are two incredible sycamores (plane trees) over 600 years old; they can be seen on the right side on the road from Gotse Delchev town to the village of Marchevo. In the Tertiary (or so the sources say) there used to be a huge forest of such trees along the valley of Mesta river. If you need any help with reservation or a tourist guide to show you around write me an e-mail to truebulgaria@gmail.com or use the contact form. 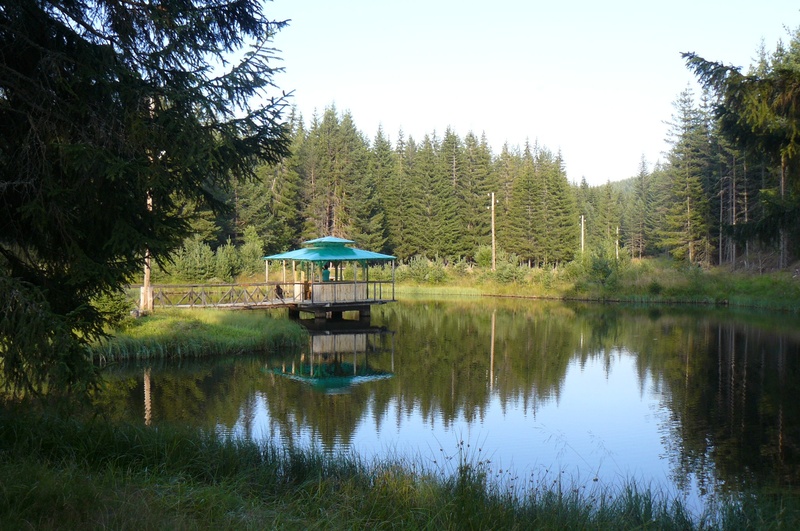 No cell phone coverage, no internet, no fax and phone lines – just crystal mountain air and the sound of the forest. That’s the only way to get away from the routine and give your mind some peace. 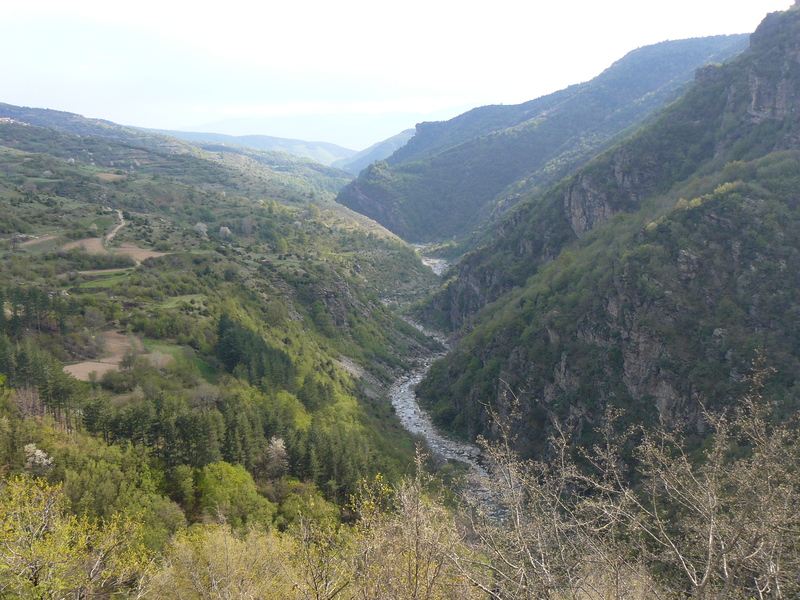 I know such a place in the Rhodope Mountains. The area is called “Karatepe” and is about 25 km South from Velingrad. See a map with directions Sofia – Karatepe. Where to stay: a small, secluded complex consisting of 3 wooden bungalows. 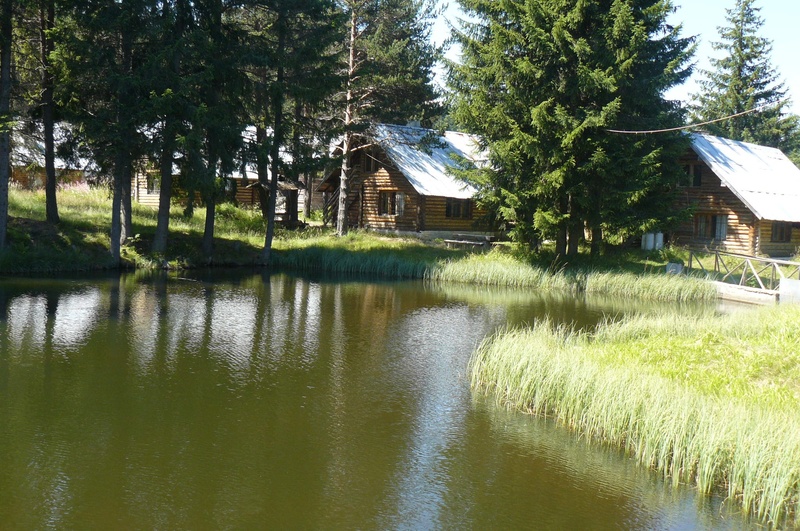 They are set on a sunny meadow by a pine forest and a small lake, full of trout and carp. There is hardly any info about the complex in the public space. It belongs to the State Forestry and is mainly visited by hunters. But when the hunters are not around it really is a wonderful Alternative Tourism destination. Getting there: not an easy job, unless they’ve fixed the road from Velingrad. But that goes with the territory – no easily reachable place can stay that wild and beautiful. The bungalows: There are 6 private bedrooms, altogether in the complex. One of the bungalows has a fully equipped kitchen and a small dining room with a fireplace. The bungalows don’t offer luxury, but they provide more than the basic comforts. The food: is your responsibility. The kitchen is equipped with everything you need. Just make sure you do your grocery shopping in advance because there is no store anywhere near the place. 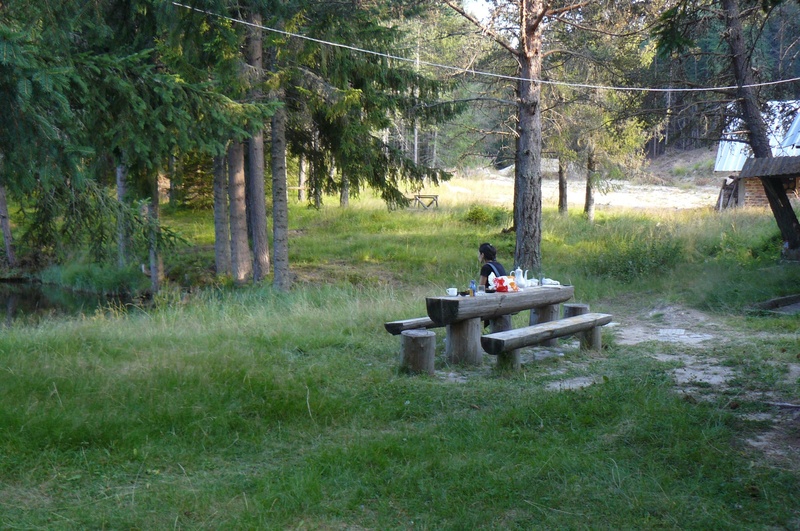 In the summer you can eat outside. Prices: 30 levs per room per night or 15 levs per bed per night. To use the kitchen the price is 60 levs per day. 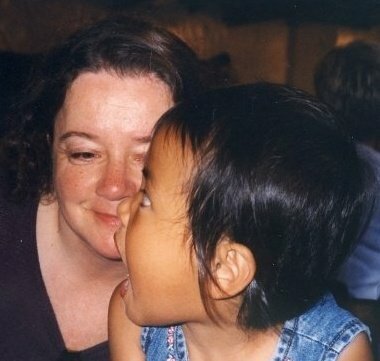 Contacts: the website http://www.huntingbg.com was not working at the time I wrote this post. The phone number: +359 35951937. If you have additional questions use the contact form or simply write me an e-mail to: truebulgaria@gmail.com . Having lost connection with civilization you are free to do whatever you want: hunt, fish, walk, pick blueberries and mushrooms, see the villages around or just hang at the arbour in the middle of the lake and watch the fihes. 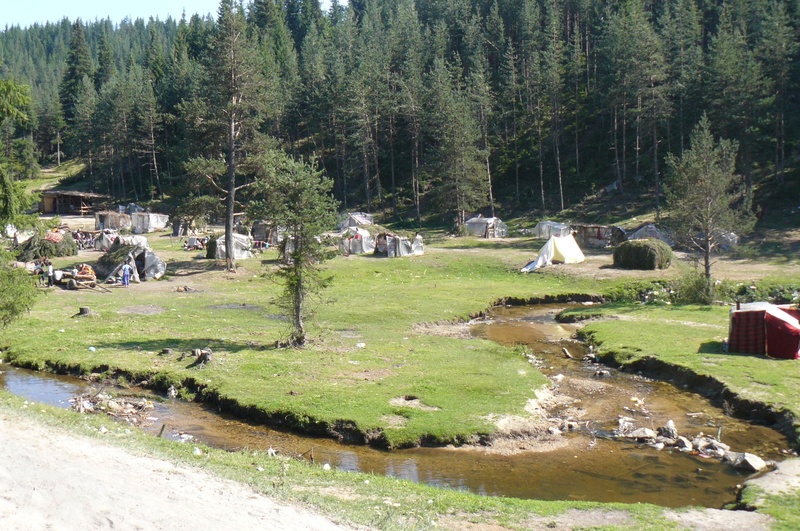 In the summer you will see a large authentic gypsy camp on the road from Velingrad to Karatepe Area. The gypsies live there throughout the summer and pick blueberries. They really make a mess around their camp – there is garbage and plastic bags everywhere. 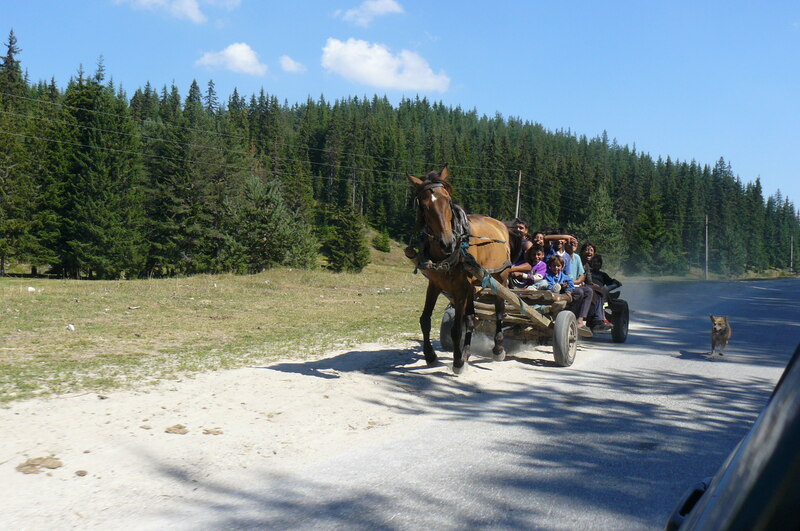 Still, it might be interesting for some of you to see the gypsy way of life. When we asked to be let in the camp to look around they were really friendly and chatty.